After the World Trade Center towers collapsed, the large pieces of steel were sold as scrap, and the rest was buried in landfills. This was a destruction of evidence. The FBI continues to hide videos of the airplane that crashed into the Pentagon. This is a suppression of evidence. It should be obvious that the people who destroyed the evidence at the World Trade Center were willing to violate the law because they wanted to prevent an analysis of the rubble. Destroying the evidence at the WTC was better than having scientists discover that the towers were demolished with explosives. With all of the controversy concerning the Nazi prison camps and the Holocaust, why don't we settle the issue once and for all? Why are we bothering to protect Nazis who have been dead for 60 years? Why is some evidence of the Nazi death camps still hidden from us? How far into the past does World War II have to be before we can openly discuss all details of the Nazi atrocities? For example, there are lots of photos of gas chambers. Let us analyze the Nazi camps! A serious discussion of the Holocaust requires that chemists analyze samples of the gas chambers. 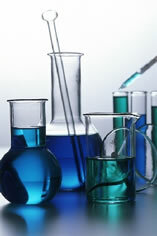 Furthermore, we need more than one chemist; we need more than one analysis. However, even after 60 years, nobody is allowed to take samples! More shocking, many Europeans have been arrested for advocating an investigation of the Holocaust, or for disagreeing with the official story. Please note that the Vatican is not stopping people from taking samples, so don't blame the Jesuits for preventing investigations of the Holocaust. I found an alien spacecraft! Did you know that I have an alien spaceship in my garage, and I have a dead alien in my freezer? Would you like to see them? How would you feel if I refused to allow you to see them or take samples for analysis at a laboratory? How would you feel if I told you those two images above are all the proof you need? How would you feel if I told you, "Prove I don't have an alien and his spacecraft." You are under no obligation to disprove my claim of having an alien. Rather, the burden is on me to prove my story is truthful. Likewise, we don't have to disprove the Holocaust. Rather, the Jews have to prove it to us. So why don't they let us take samples of the gas chambers? You would be a fool to waste your time trying to disprove my alien story by analyzing a few crummy images that I provide. Likewise, we are fools if we waste our time arguing about the Holocaust when we only have a few crummy photographs. Tell the Jews to open up those Nazi camps, and allow us to analyze the gas chambers, the graveyards, the ovens, and all the other evidence. If the Jews refuse to let us see the evidence, we should dismiss their Holocaust as a hoax. The only way that the Jews can prove that their Holocaust story is accurate is to open up the Nazi gas chambers for inspection by chemists and other scientists. Furthermore, we must be able to take core samples at the alleged sites of the mass graves in order to find out if there really are millions of bodies in the ground. Likewise, the only way the government can prove that fire brought down those World Trade Center buildings is to let scientists analyze the rubble. However, nobody is allowed to analyze the rubble from the World Trade Center buildings, and nobody is allowed to analyze the Nazi camps. These are not coincidences. These are cover-ups; these are suppressions and destruction of evidence. The destruction or suppression of evidence is itself a crime. Therefore, the people who sold the scrap from the World Trade Center committed a crime. Furthermore, nobody suppresses evidence except the criminals who are involved with the crime. Therefore, the people who suppressed the evidence of the September 11 attack should be considered as somehow connected to the network that committed the crime. Why would Jews protect Nazis? The Jews who are preventing analyses of the Nazi prison camps are committing a crime by suppressing evidence of Nazi atrocities. However, nobody would suppress evidence of Nazi atrocities except the people who are somehow involved in the crime! Therefore, the Jews who are desperately trying to stop investigations of the Holocaust should be considered as playing a role of some sort in those Nazi atrocities. • The Jews are lying about the gas chambers and ovens. • The Jews helped Hitler and the Nazi party get control of Germany. • The Jews instigated both world wars. • The Jews created anti-Semitism in Germany to drive Jews out of Europe and into Palestine, and to unify Jews, and to bring pity to Jews. How many Goyim can think properly? The fact that the Nazi camps are off-limits to scientists, and the fact that Europeans are arrested for discussing this issue, should be all the proof you need that the Jews are trying to prevent us from discovering the truth about those Nazi camps. Is this concept really too difficult to understand? Are most people truly as stupid as they appear? The Jews are not protecting the truth, either. Rather, they are protecting Jewish crimes, Jewish lies, Jewish deception, and Jewish atrocities. How obvious does the HoloHoax have to be? Get a clue, goyim! It is interesting to note that most (or all?) groups of people try to recover the dead bodies of their relatives, whether it be from disease, war, or accident. Every group wants to give their dead relatives some sort of burial. The Jews are the exception. There are no Jews asking Germany to return the dead bodies of the Holocaust victims. Many of the Jews are said to be buried in big pits, rather than incinerated. Why didn't their families tell the Germans to dig them up, identify them, and send them back for a proper burial? The Jews demanded that the gold from Jewish teeth be returned to their families. How about all the Jews that were turned into soap and lampshades? Why didn't the Jews demand that the Germans return those items? Do the Jews only care about items of high financial value? Doesn't it bother the Jews that their relatives are decorating German lamps? Doesn't it bother Jews that Germans are washing themselves, their cars, and their dogs with Jewish soap? I've looked at the WW2 photographs, but photographs of empty rooms and dead bodies do not prove the Holocaust story is true. Furthermore, a dead body in a photograph is not necessarily a dead Jew. Even if a photograph does show a dead Jew, it doesn't prove that Nazis killed him. He may have been killed by Zionists. How do we resolve these issues? Through an investigation! But the Jews refuse to allow investigations! The Holocaust should be considered a hoax until the Jews prove otherwise. The burden of proof is on them, not me or you. Don't be a sucker!